I am so grateful for all of the creative opportunities and partnerships that have developed in the last few months and I can’t wait to break it down for ya’ll! 1. Please join me tonight at a pop-up art show at the Lafayette Hotel! 2. Saturday join me at Art on 30th for an art opening and open working artist studios! 3. 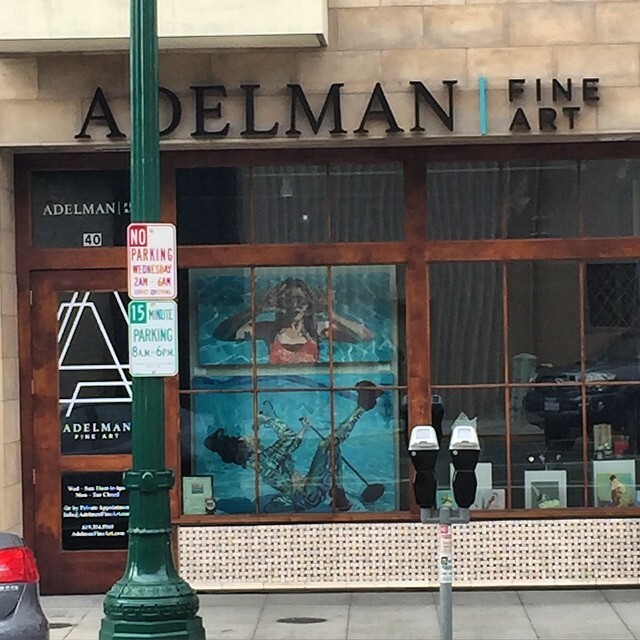 I’m a featured artist at Little Italy’s Mission Federal Artwalk! April 31st-May 1st. 4. Check out my new gallery representation! 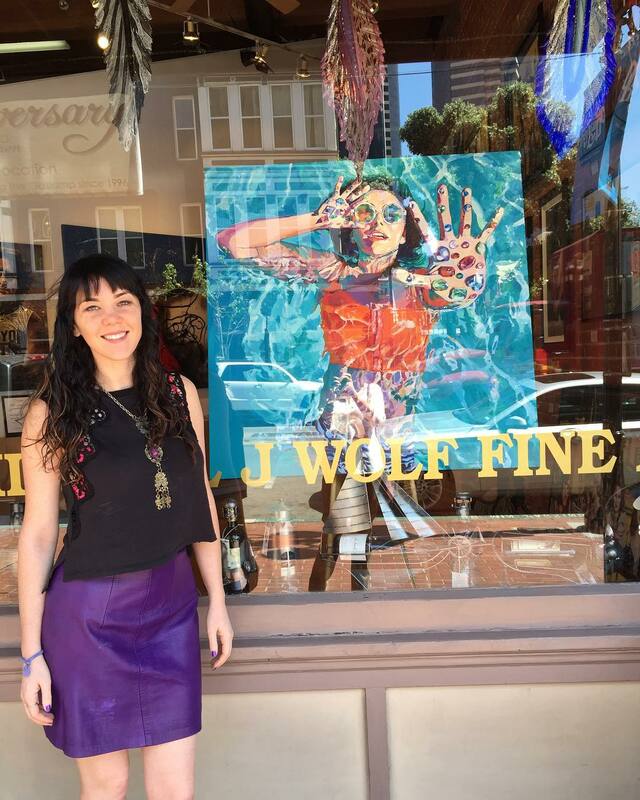 Join me TONIGHT at the Lafayette Hotel, Swim Club & Bungalows for “Ladies Night”, a pop-up show featuring tunes by Raelee Nikole and artwork by Adelman Fine Art‘s artista’s!!! Please Join me this Saturday to celebrate Art on 30th Studios and Gallery’s one year anniversary and their book launch! Enjoy a wine reception while browsing the new exhibition, and check out the working artist studios upstairs! Visit mine (unit 9) to view never-before seen original work and in progress paintings! 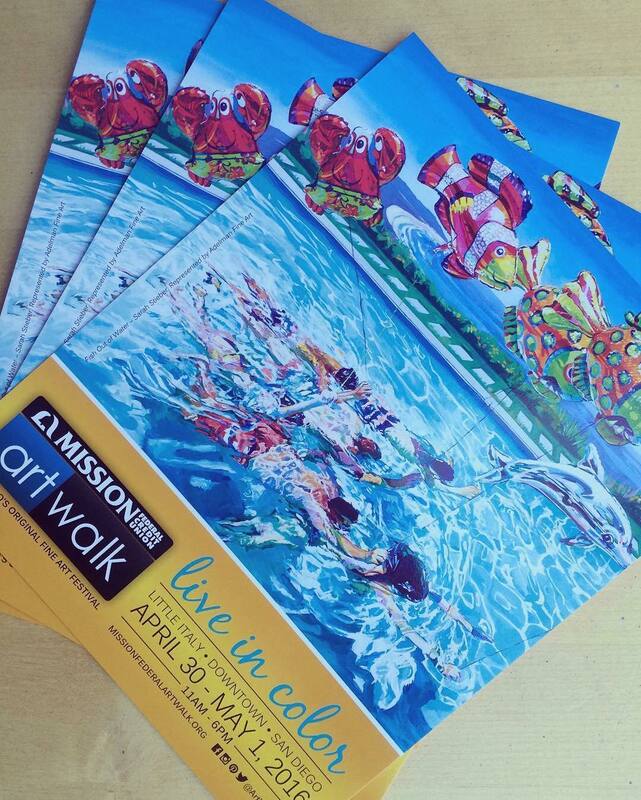 I am so beyond thrilled to be a featured artist of this year’s Mission Federal Artwalkand to have my painting “Fish Out of Water” on the event flyers! Please join me!! **Special performance piece (details coming soon) at 3:30 Saturday and Sunday on the main stage at India and Grape Street – You don’t want to miss this:)! 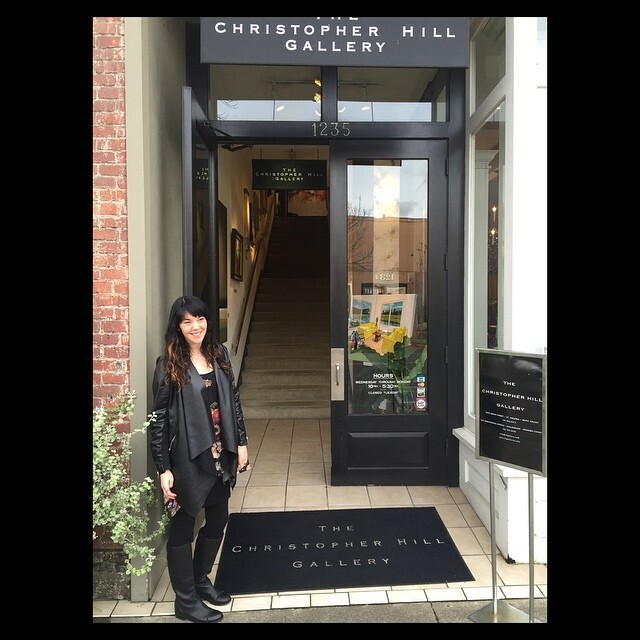 It is a dream to now be represented by 3 fabulous art galleries!